The Trampoline Design team headed north late Friday, winding our way through the Adirondack high peaks to our destination in Keene. 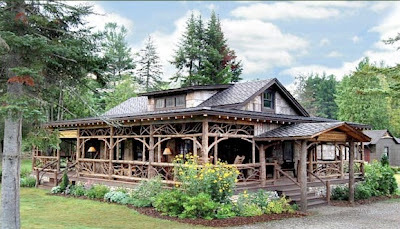 Dart Brook Lodge, nestled snugly in the hills just below Lake Placid offered us a rustically luxurious retreat. After a creative meeting with the Dart Brook proprietors, we ordered-in and spent the rest of the evening dining on pizza and wings, dodging toddlers, listening to Trina strum, and testing our favorite beer (Davidson Bros. Dacker Ale) against the closest competition (46er Pale, brewed by Lake Placid Brewing Company). The following morning, fueled by hearty Adirondack muffins, buttery scones and plenty of coffee, we gathered 'round the stove and carved out the Trampoline 2008. 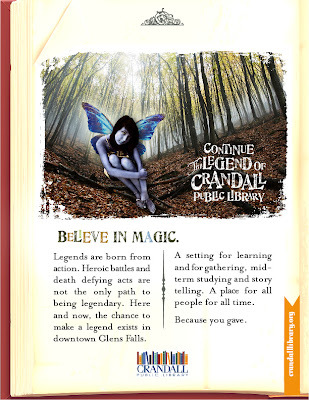 We've made some big changes, and are in a time of great growth and even greater excitement. It was a marvelous feeling to have such a shared sense of purpose, camaraderie and family. Thanks to the staff (and spouse) for offering such valuable input, the wives for their constant understanding and support, the little kids for being so good, and the big kids for taking care of the littler ones. Here's to a fantastic 2008. The perfect spot to meet. 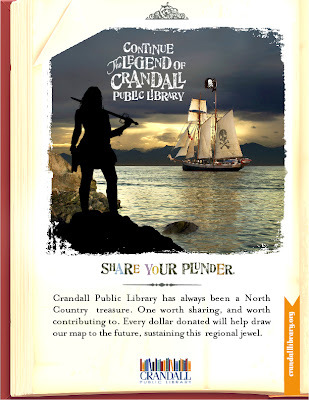 Awhile back we wrote about The Crandall Public Library's Capital Campaign, now in the "public phase" of fundraising. 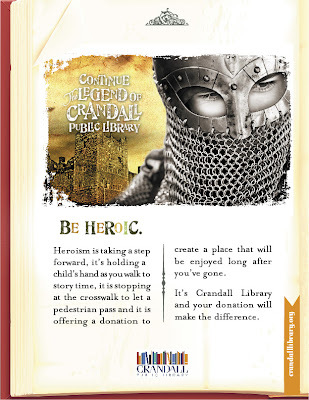 The committee has settled on a concept that started as a nod to the library's Folk Life section, and grew into a vision that incorporates the institution's past and invites users to help define its future. 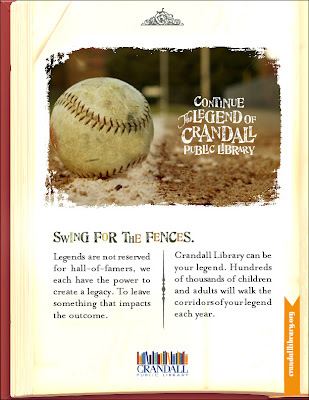 Below, a few pages from the Legend of Crandall Library.